In the gardening side of my life too, lots of new things got added. 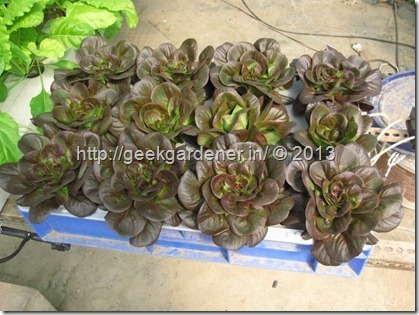 I focused more on Hydroponics this year than on conventional methods. New systems were tried and blogged about. 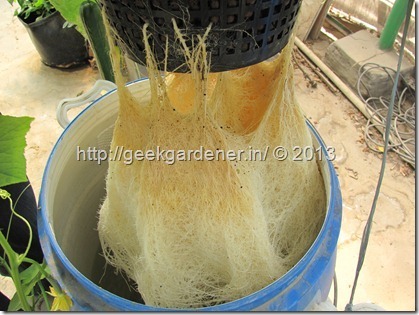 Kratky system was one of them. Had a great response from fellow gardeners. 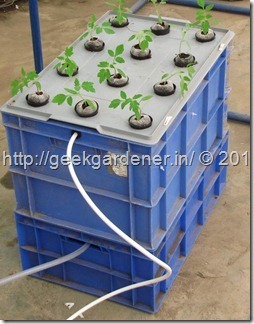 I have seen many liking kratky system due to the simplicity of the system. 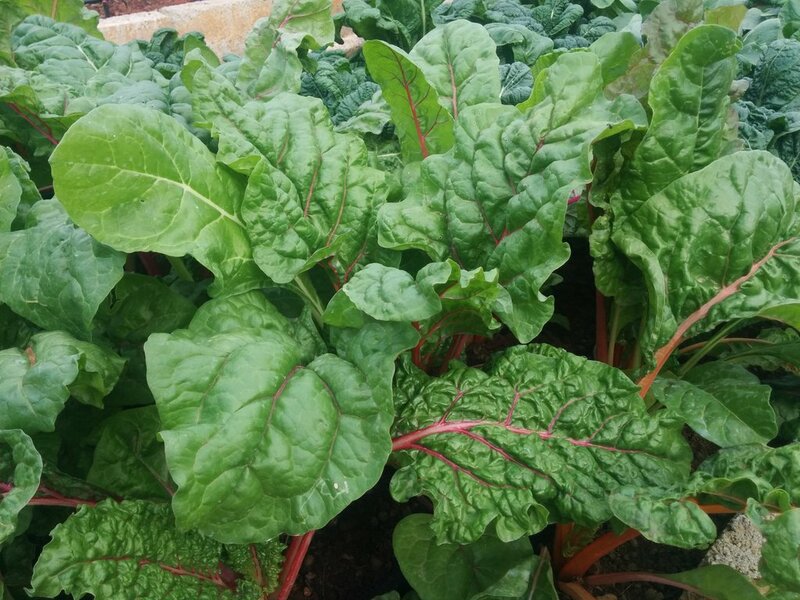 After several successful crop of Lettuce, Bok choi, and other salad greens on NFT, I tried our good old spinach and the harvest was mind blowing. 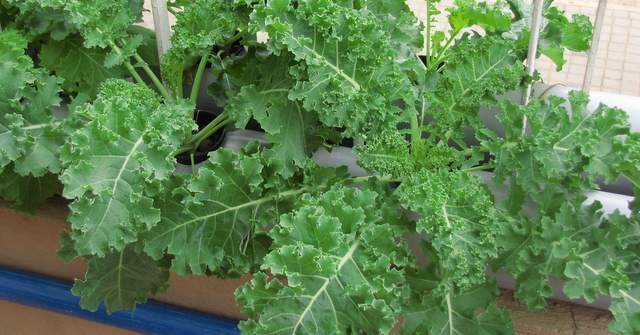 From then it became our staple crop on NFT. Took just 20 days from transplanting to harvest. Very successful crop. While the spinach experiment was going on, Chinese cabbage was also tried in parallel and I will let the pictures speak for it self. 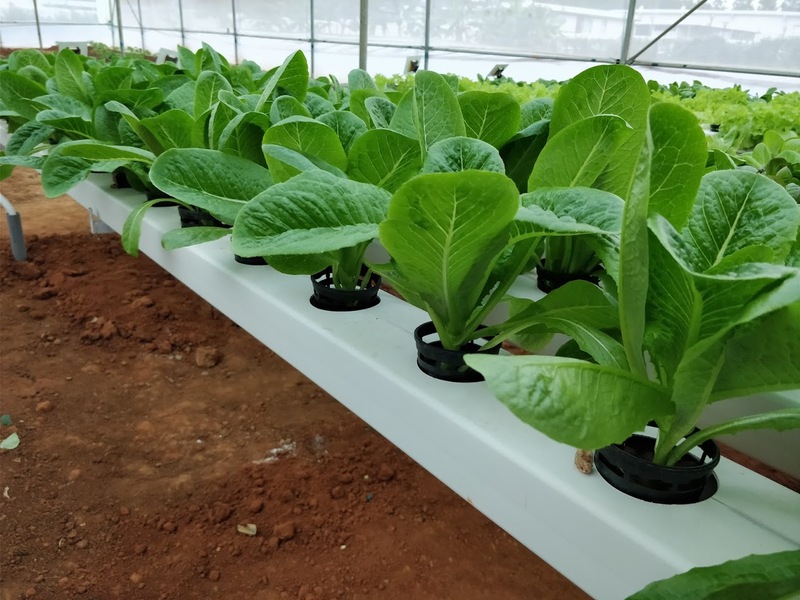 Armed with lots of experience in NFT system of hydroponics, we at Garden Guru started setting up Hydroponic Gardens for our customers. 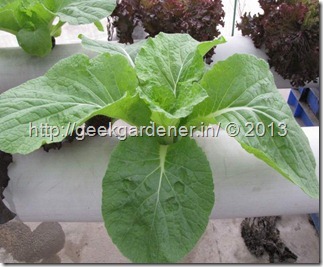 We were able to grow large number of plants in very limited spaces and thanks to hydroponics, without which a dream of having a sizeable harvest from the smallest spaces wouldn’t have been possible. 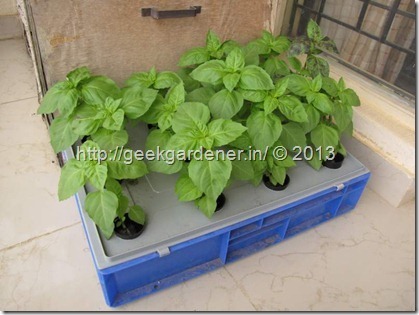 Our garden store, Garden Guru was all about promoting vegetable production in small spaces. Ornamentals was not our primary focus then. All of that changed in an evening when we decided to beautify our shop front. We went and created one of the stunning displays ever put on a garden store front. 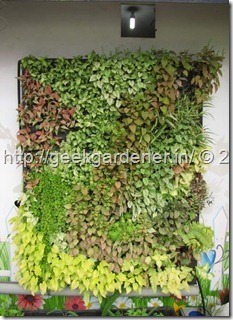 We created a living wall ( Vertical garden if you want to call it that) and it was a living wall like no other. No! it is not the one made of huge plastic modules. It is a fabric based wall that will make you go near to touch and see if it is real. Almost every single customer has gone and touched to test it. What more you need as an appreciation? 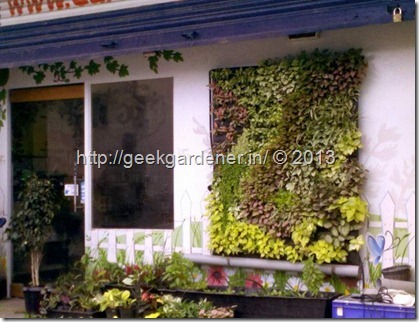 Here are the images of the living wall . How do you like that? 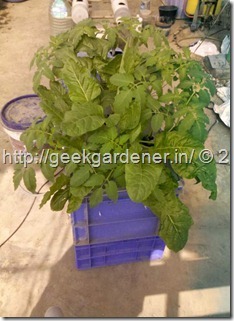 I was working on a high pressure aeroponic system last few months and now it is a working model with excellent results. 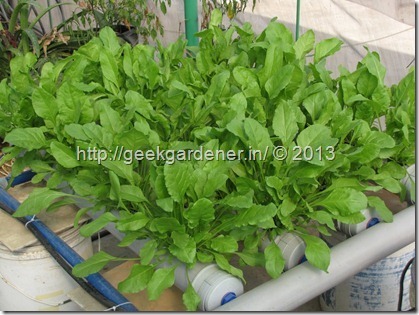 Uses almost half of the water used by other hydroponics systems and delivers excellent quality produce. With 100psi pressure, a fine mist is generated of size about 50-70 microns. 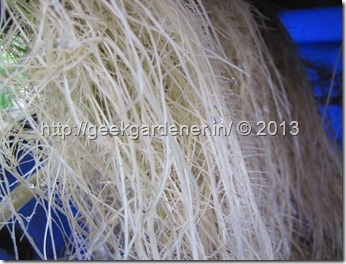 One has to see the system to really appreciate the power of Aeroponics. 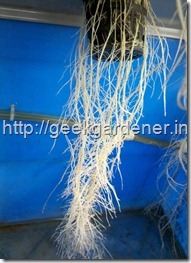 It is in trials and once the system is made robust, it will hit the shelves of our store. Impressed? Told you! 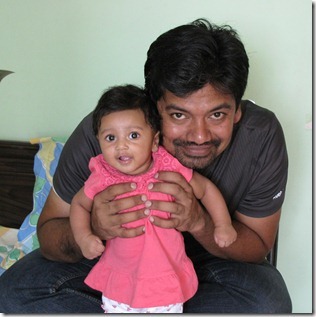 lots of happenings in 2013. 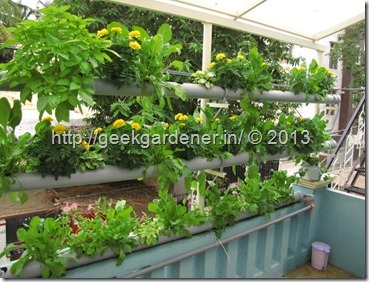 I will write more detailed posts on some of the topics I wrote in this post like aeroponics, living wall etc. 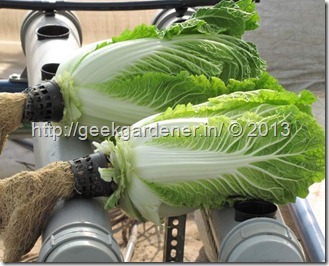 We are also shortly launching our commercial system for production of leafy greens. Stay tuned for some amazing pictures from my trials. More on that in 2014. 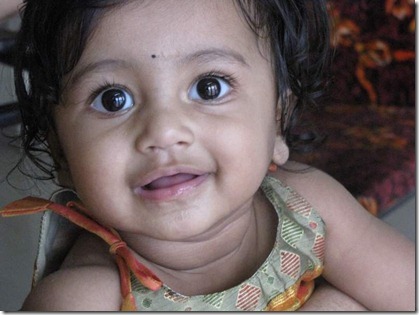 All in all, 2013 was very good and I wish 2014 be more merrier, prosperous and fun filled year for all of us. I have a request to each of you. 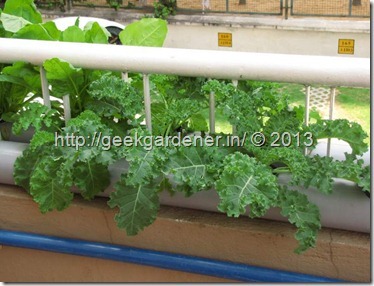 Please try and grow at least one vegetable on your own. No matter how small. Even if the harvest comes for one day in a month, please start growing on your own.You will be glad you did! 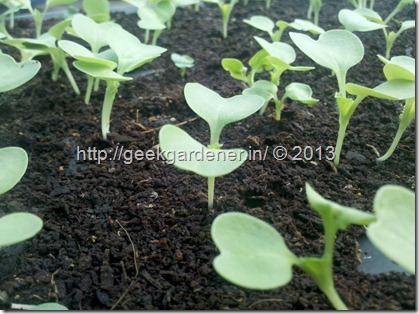 Happy New year to you and all at geekgardener. thank you for helping all wannabe gardeners like me who have tasted moderate success with hydroponics. if you could write a post on some of the parameters that need to be checked while growing with hydro that would be great. 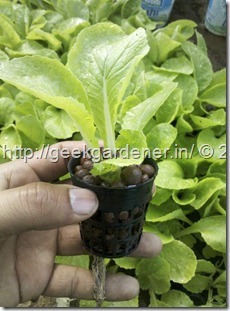 one thing I am having a hard time germinating lettuce, have tried all that is mentioned in your website and from the internet. 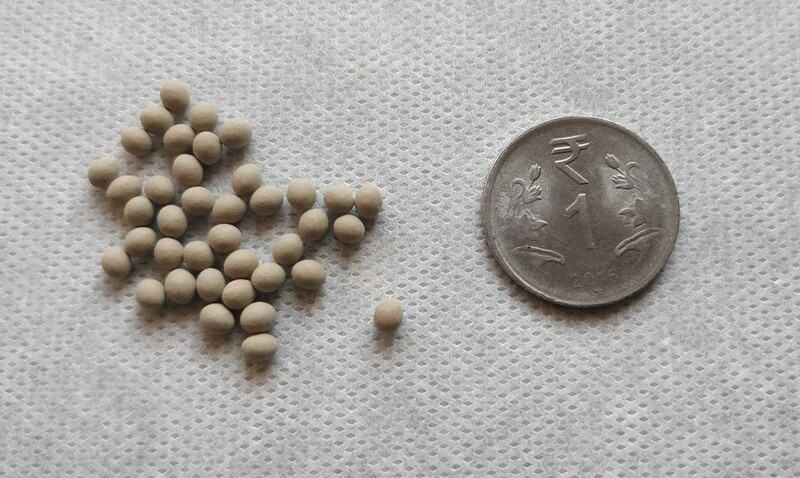 Seeds got from you about 5 months ago any pointers would be great.